Lippe-Detmold. Friedrich Wilhelm Leopold Gulden 1793 UNC Details (Surface Hairlines) NGC, KM219. A seldom encountered one year type Prize Gulden from this small County. Hairlines are truly minimal. 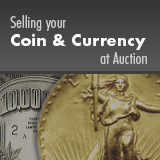 The outcome of the auction far exceeded my best hopes and would not likely have been as successful with out your sound advice on where to present the coin and how best to set the reserve. Throughout the process your availability , support and knowledge were exceptional.